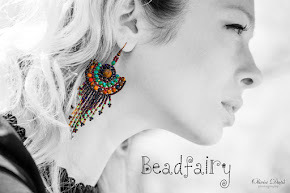 This unique pair of handmade beaded earrings are shaped like a diamond and was created by my original design to highlight the boho / ethnic / hippie style. The time required for manufacturing the piece was approximately 1.30 hours of work. Price: 50 lei (The price may change from the time of the blog post. To request an updated price, please send an email with the name of the desired piece and I will answer in the shortest possible time).